Base damage decreased fromÂ 100/150/200/250/300 toÂ 80/130/180/230/280. TotalÂ Attack Speed bonus increased from 30% to 35% (MS bonus cap unchanged). Base damage-per-second decreased fromÂ 15/25/35/45/55 toÂ 10/20/30/40/50. Today’s PBE update contains 5 new April Fools-themed skins, strings for the return of U.R.F. mode, the newly-announced Champion Mastery System, texture rebalances for Kayle, Lee Sin, Pantheon, Rumble, Ryze, new spell icons for Twisted Fate and Rammus, nerfs to LeBlanc, aÂ rework of Darius’ ultimate and more! Archduke Nasus will be available forÂ 750 RP. Definitely Not Udyr can definitely be yours for 975 RP. Order of the Banana Soraka will be available for 750 RP, which is around 2 bananas in length. Her basic attack is a banana! YEAH! You can let Amumu in to your party for 1350Â RP. Unavailable in today’s update! I’ll cover him in the next. You can buy the golden spatula for 750 RP and you get a free Nami with it. Looks like we’re getting URFÂ back for April Fools! Shield Overload: This unit has a shield that can’t handle the sheer amount of awesome. Non-ultimate shields cast by this unit have stat scaling. Heal Embargo: Direct healing effects are less effective. Heal effectiveness will increase gradually over the course of the game. Awesome Buff of Awesomely Awesome Buffing: Mana and Energy consumption reduced by 100%. Cooldown Reduction on Abilities, Activated Items and Summoner Spell, Tenacity and Tenaciousness, Movement Speed and Speed while Moving, Attack Speed Bonuses increased by X%Â (different ratio for Ranged Champions) Critical Strikes deal additional base damage. Health Costs reduced. A new featureÂ is coming that’ll reward your experience and playtime with your favourite champions. You can read more on the feature HERE. Finish a game of League and youâ€™ll earn points for your champion based on your teamâ€™s performance as well as your own contribution. Earn enough points and youâ€™ll level up that champâ€™s mastery level, giving you rewards as you progress. 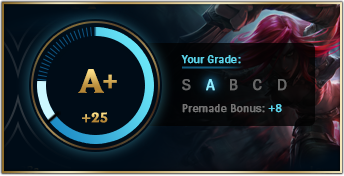 Hover over your Champion Mastery points bar in the post-game screen and youâ€™ll see the grade that our new system gives you. Grades are awarded based on your overall performance in the role along with the champion youâ€™re playing and, crucially, where youâ€™re playing them. 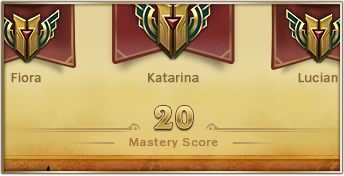 Check out your in-client profile, and youâ€™ll see a new stat telling you your mastery score, a sum of all your mastery ranks combined. Here’s an initial preview. The profile page now displays your mastery of your most-played champions. You can check you progress on any champion by visiting the ‘Champions’ tab. At rank 3, Noxian Guillotine’s cooldown resets entirely on kill. All of Twisted Fate’s icons have been updated. From left to right: Passive, Q, W, Blue Card, Red Card, Yellow Card, E, R and R re-cast. Summoner’s Rift has received shiny new ornaments and details. You can find comparisons below: left side is the OLD version, right side is the NEW PBE version. Kayle, Lee Sin, Pantheon, Rumble and Ryze have had their models updated in today’s PBE patch. [ Note ] Silver Kayle, Unmasked Kayle and Judgement Kayle have also been updated, but I don’t have access to them on the PBE. [ Note ] Human Ryze and Triumphant Ryze have also been updated, but I don’t have access to them.